The State Executive Committee ruled to amend the suspension of a Texarkana-Pleasant Grove student-athlete to the first football game, first two basketball games, and first track meet of the season. This student was previously suspended pending an appearance before the State Executive Committee. The student was also given two years probation. Santa Gertrudis Academy coach Michael Ruiz was denied an appeal of an ejection from a contest and was issued the automatic penalty of a public reprimand, one-year probation, and additional training. Lamesa High School coach Bobby Alvarez was denied an appeal of an ejection from a contest and was issued the automatic penalty of a public reprimand, one-year probation, and additional training. 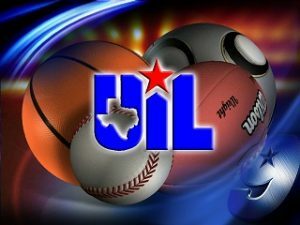 Student-athletes from Austin Westlake High School, Smithville High School, and Edinburg Vela High School were denied appeals for varsity eligibility, upholding the previous rulings of the district executive committees. A student-athlete from Edinburg High School was granted an appeal for varsity eligibility. After hearing testimony from all parties, it was determined that this student did not change schools for athletic purposes.